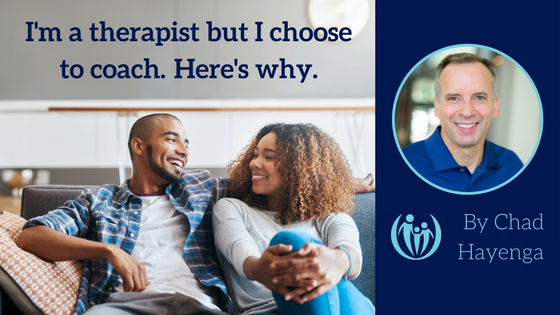 I’m a therapist, but I choose to coach. Here’s why. In my experience, the power and influence of a parent with a plan can alter even the most dire family struggles. Ten years of working with teens labeled as EBD, ODD, ADHD, OCD, or just plain “at-risk”, brought me to a place of seeking my master’s degree in Counseling Psychology and my license in Marriage and Family Therapy. I wanted to help families, not just teens, because behind hurting teens are hurting parents. Upon getting licensed as a therapist, I began seeing teens in a therapeutic context, but saw little change in families as a result. I found that in many cases the teens’ issues were closely related to how they were parented, and that much of my work with teens was aimed at helping them cope with their parents. So I quit doing therapy with teens to focus on coaching parents. Instead, I now enjoy hearing stories from parents who report significant change in their families due to coaching through Connected Families. Parents learn a simple parenting framework and get immediate, practical tools for the specific issues within their family. Parents learn how to react calmly to an angry tirade. Or to empathize with why their child is struggling and behaving in a certain way. We focus on what your child’s “hidden talents” are in the midst of their misbehavior and the skills they are using to help them misbehave more effectively. Together we look at how to provide consequences that will help kids grow in wisdom rather than just responding with fear-based control. Our coaches help you develop a plan. Parents know the challenges they will likely face, so let’s make a plan to address these challenges through a biblical framework; before they happen again! As one parent commented, “This isn’t a quick fix, this is a lasting fix!” And that is exactly what parent coaching is designed to provide. Parents will leave each session equipped with a plan for the work ahead of them. Coaching is a short-term commitment! Our coaching packages are just four sessions. (More can be added, if desired, but four is the commitment.) Even a skeptical parent can complete four sessions! Connected Families provides parent coaching for parents with kids as young as 3 years old. There is plenty of hope for any family! We know that the earlier parents make changes in their approach to struggling kiddos the more likely those changes will be well-received as sincere and not some kind of manipulative behavior modification. My husband and I have completed 1:1 coaching with Chad at Connected Families and for the first time we have learned how to come together as partners in parenting. We are changing, and therefore the atmosphere and dynamics in our family are being transformed as well. As we are proving to be safe even in our kids’ misbehavior and demonstrating our delight in them, our connection and trust is growing. As we are learning how to parent the way our Perfect Loving Father parents us, our kids are responding and our family is getting healthier. Thank you, Connected Families!! *Therapy can often be critically helpful when teens have suffered trauma or have various mental illnesses and Connected Families is in full support of therapy when necessary. 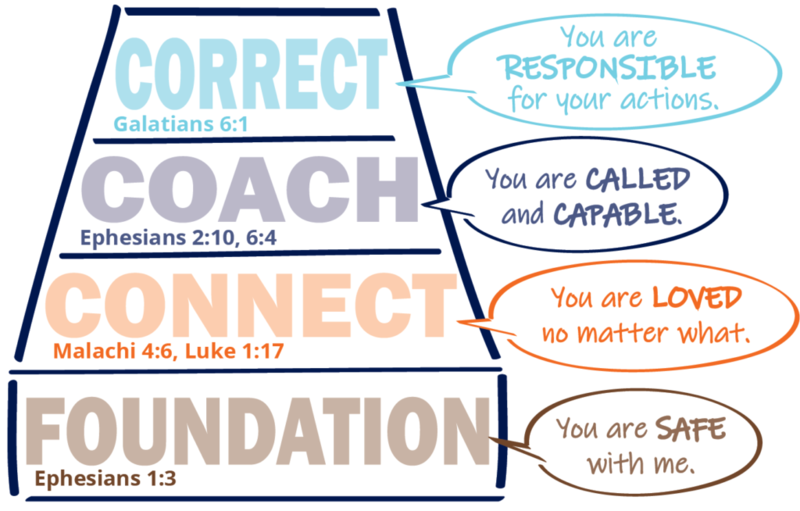 If you are feeling “stuck” in unhealthy patterns in your family, we encourage you to seek out coaching! We’ve heard from many parents that coaching through Connected Families is the best investment they’ve made in their family. If you are curious if coaching or therapy is a better fit for your family, fill out the brief interest form to schedule a FREE 15 minute consultation. ← Sometimes feel like swearing at your kids? This one’s for you.